Refreshed. Rejuvenated. Energized. Excited. These are the four words that I heard over and over at FDIC April 8-13 this year. Conferences tend to get you thinking about ways to improve your service, enhance your capabilities, and increase your performance. From the ISFSI standpoint, that’s exactly what happened at FDIC for our organization. We had the opportunity to talk to many of you, get excited about the future, and refill our instructor fuel tanks for the coming year. Speaking of conferences – have you registered to attend our Fall Instructor Development conference in Covington, GA, titled “Pride in the Profession?” It is going to be amazing! We have a line up of instructors that are top notch, pre-conference classroom and hands-on sessions, and great networking opportunities. Our team from Covington Fire Department is energized, motivated, and have promised an amazing experience – I’m fired up about it!! I hope to see many of you in attendance there as well. Our annual meeting at FDIC was well attended and was an opportunity to recognize some our industry’s best instructors. The George D. Post Instructor of the Year was awarded to Anthony Kastros from the Sacramento Fire Department. 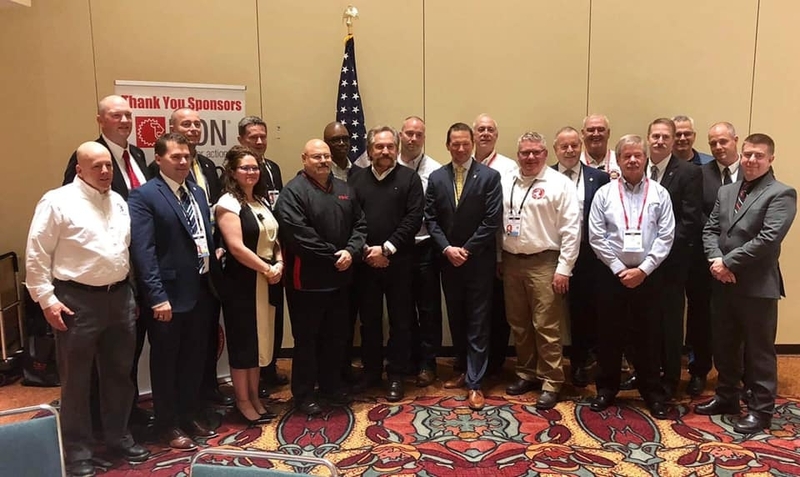 Also, we recognized Ed Kline (Pennsylvania) for his amazing efforts in the background of the Society and for his leadership on the by-laws revision. 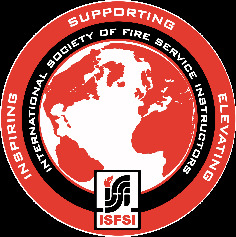 Excellence in Instruction awards were given to Peter McBride, Scott Rupp, Larry Connelly, and Jack Sullivan for their commitment to instructional excellence as a member of the ISFSI. Lastly, Jim Silvernail and Brad French were recognized for their 4 years on the Board. We welcomed Kymberly Pashkowski (Eastern Director), Dennis van’t Ende (International Director), Troy Bonfield (Director at Large) and James Lannan (Western Director) to the Board, Brian Zaitz (At Large Director) was appointed to the Executive Board, and Pete van Dorpe was installed as the 1st Vice President for the upcoming year. Other items of business were the overview of the new Strategic Plan and the updated By-Laws were adopted without dissent. All in all, it was an amazing conference for the ISFSI. Between seeing long-term members, gaining new members, and creating new partnerships, we are ready for the coming year. Please take the opportunity to get engaged in some kind of program, committee, or course by the ISFSI. Let us know if you want to get more involved. As far as the Board, myself, and the ISFSI Staff, we are Refreshed, Rejuvenated, Energized, and Excited for 2019!